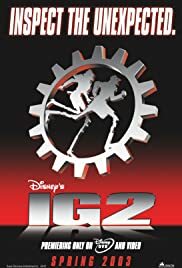 Inspector Gadget returns in this sequel to his 1999 hit; a glitched Gadget once again has to fight his arch nemesis, Claw, with the aid of a female Gadget: G2. George, now a father, goes to Las Vegas, where he has to help out his brother. Claw: Care for a smoke, Gadget? I'm sorry if this offends anyone, but I absolutley HATED this movie! Okay, I'm gonna admit it right here and now. I liked the first IG. I know most people hate it, but I thought it was a very nice little movie. But THIS. This was just plain silly!! Nothing at all made any sense at all. 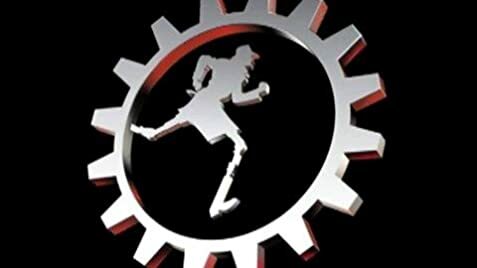 Okay, now I thought in the first movie, John Brown/Inspector Gadget got a girlfriend, but WHERE IS SHE IN THIS MOVIE???!!! Second of all, how the heck could a human guy like IG fall in love with a robot??!!! What the heck where the writers thinking??!!!!! How could a human/robot breed with a robot?! ROBOTS HAVE NO REPRODUCTIVE ORGANS!!! The whole thing was totally whacked! And IG was just annoying in this movie!!! He was nothing but a smart-aleck know-it-all who was stupid and totally unfunny. Sheesh, what in the world happened to him after the first film?? And I hate what they did with Claw. How come in the first movie, he talked normal, but in this movie he has that wierd robot voice. Also, how come he turned into an old man? WHAT THE HECK WAS GOING ON HERE??!!!! Overall, this movie was just dead awful to me. It made no sense at all. This piece of crap gets a big fat, 1/10!!! Once again, I apologize to "The Secret Of Nimh". This movie, along with MST3K's "Invasion Of The Neptune Men" were worse.